Advantages: High level of detail; convincing surface textures; excellent mouding quality; gun may be mounted on tray or ground-mounted separately. 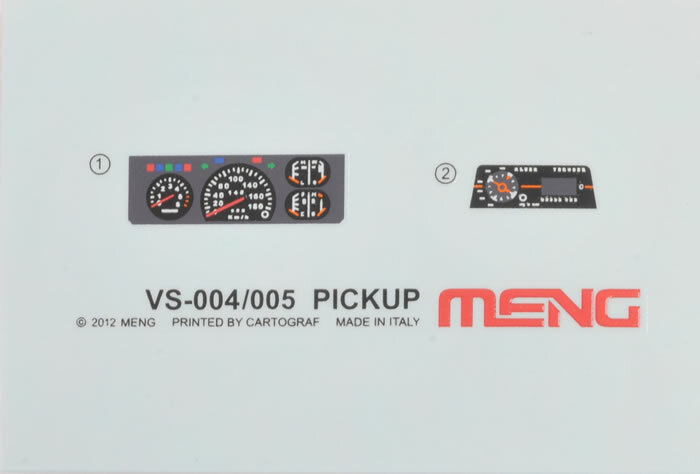 Recommendation: Meng has come up with a winner with this one. You can see that they have really researched the subject, making it more of a want into the already growing stash. Highly Recommended. 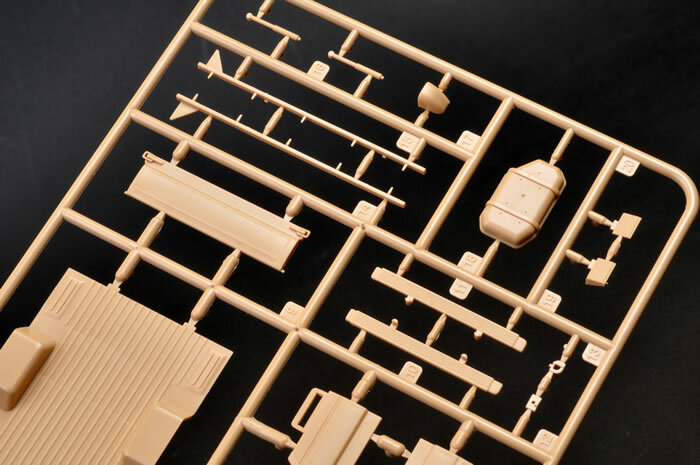 Meng Models has really made a mark in the industry with their great kits and interesting subjects, and here is another one to add to that collection. 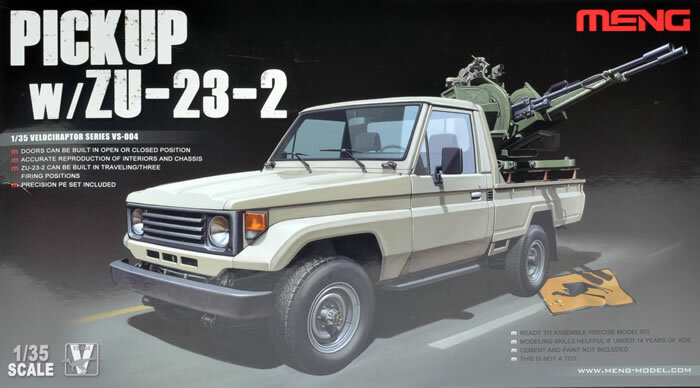 This comes in the shape of a Toyota Land Cruiser, though not specified on the box, nor are there any badges, most probably due to licensing reasons, and the twin gunned ZU-23-2, quite a weapon. Both of these have served quite prominently through out different conflict zones, especially Africa and the Middle East, Iran, Iraq and Afghanistan. The ZU 23-2 is a Russian made weapon, developed in the 1950s and then mass produced in the 1960s. It has a high rate of fire and its primary role was anti-aircraft though in recent conflicts has quite often been used effectively in the anti-personnel role. When mounted onto a vehicle such as the Toyota Land Cruiser, it becomes a lot more effective due to its mobility. 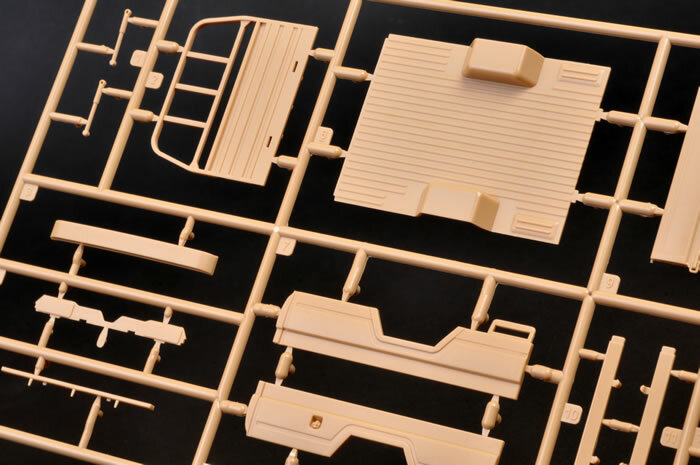 Inside the box, we are met with seven sprues of tan, black and green parts, the main cab and roof of the vehicle, five vinyl tyres, a sheet of photo etch, poly caps, a small decal sheet with dashboard markings, and finally an eighteen page instruction booklet, with very clear easy to understand drawings and on the back page, some colour profile drawings of the vehicle and the gun. 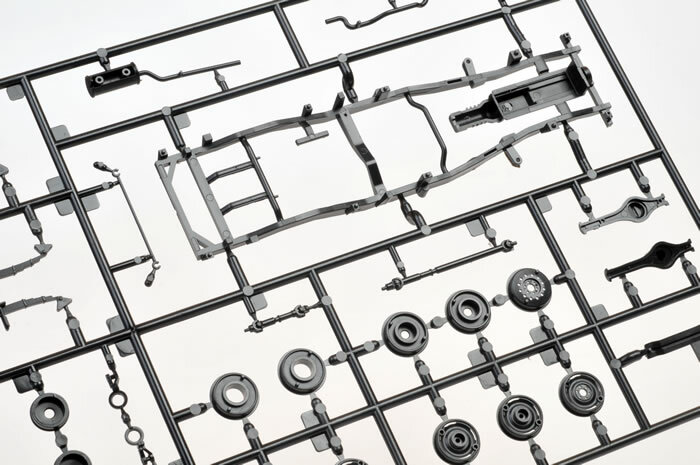 The flow of the build appears to be in a logical order, beginning with the chassis, suspension, driveline, though there is no engine. Next is the construction of the interior, which is basic but more than adequate straight from the box. This is followed by the building of the cab and rear utility section. 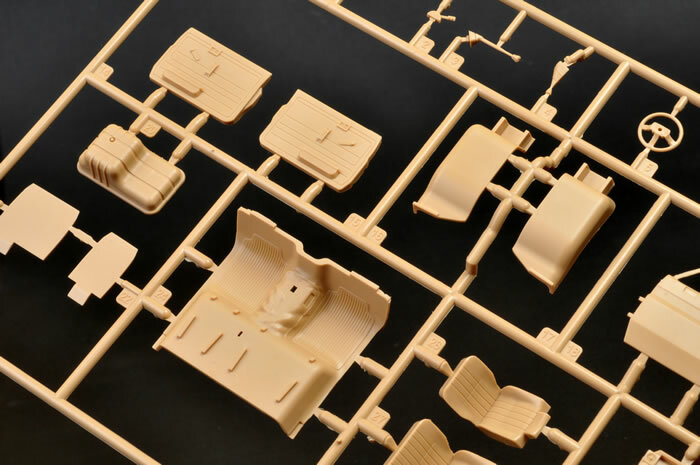 I thought it was very clever providing the roof of the cab separately, making it a lot easier to detail the interior with clutter and equipment as seen in most military vehicles. It will also be a lot easier to paint when wanting a two-tone finish. 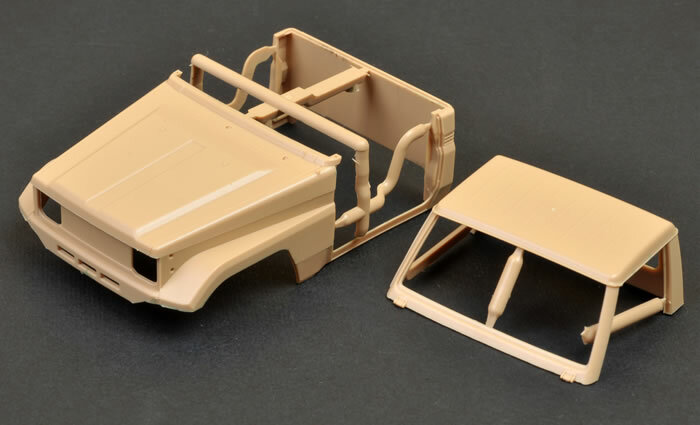 Next are the doors, which may be posed in the closed or opened position, another clever option, then it’s the final assembly of parts such as the foot rails, mud guards, bumpers and wheels, leaving you with a very nice rendition of a Toyota pick up. 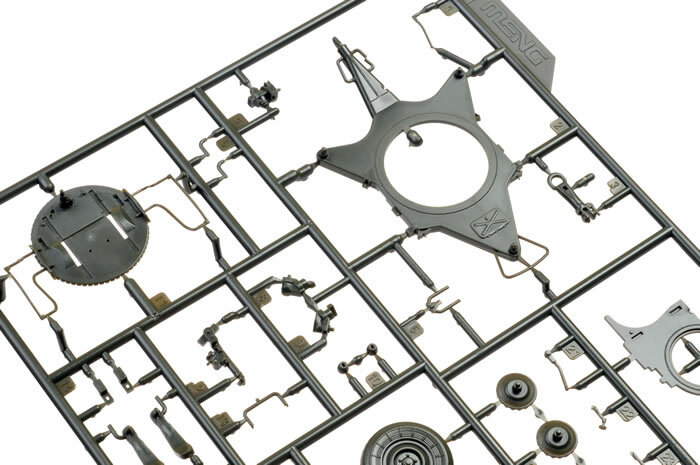 Windows and windscreen are supplied as clear injection-moulded parts. Now we have the ZU23-2. 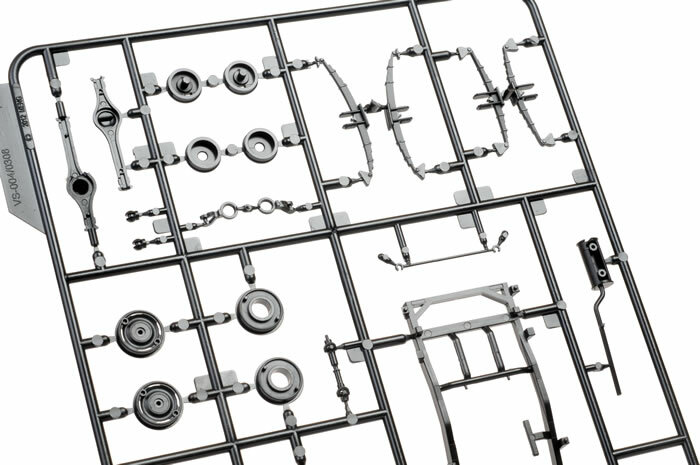 This has ten stages in its build with a lot of detail, making this in itself a brilliant little kit in its own right. 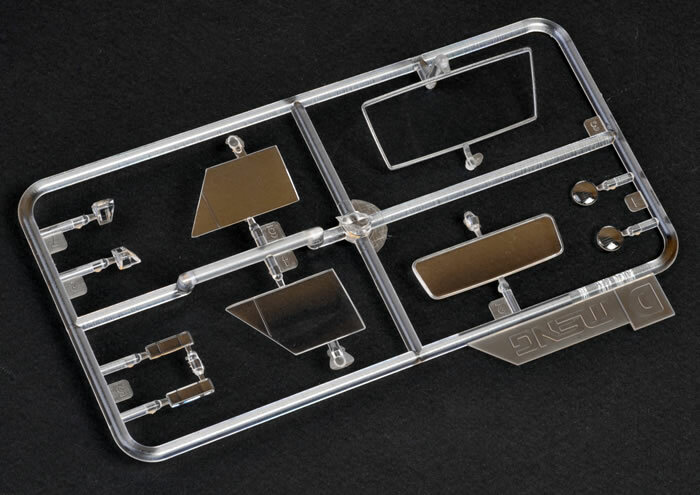 It can be done in the transport mode, or in three different firing angles, and can also be finished either ground mounted or vehicle mounted. This is a great option for those who only want the vehicle or the gun. 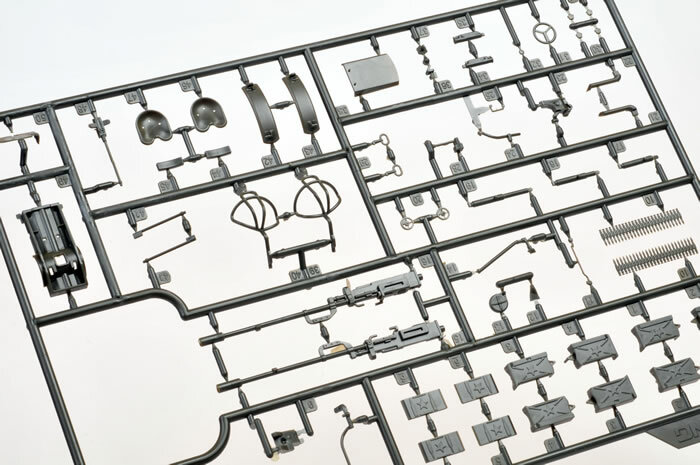 For vehicle mounting option, Sprue E has the H iron sections to mount the gun in the utility section. 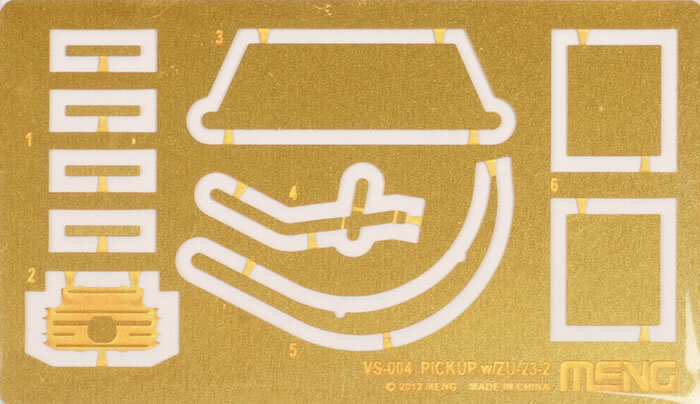 A modest photo-etched fret is also included. 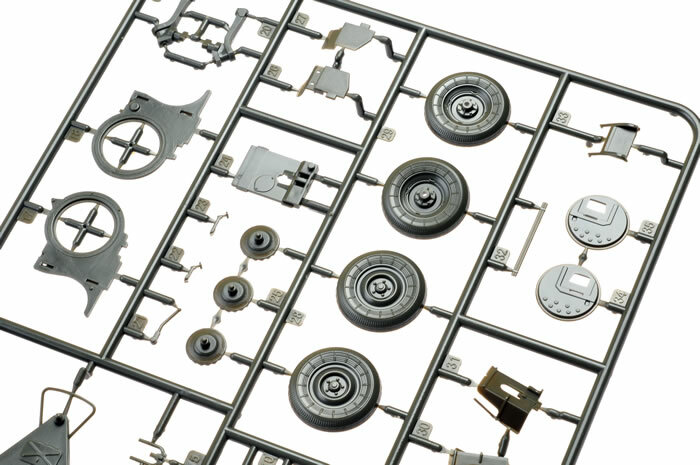 Markings are supplied for the dashboard instruments. These are colourful and detailed, and perfectly printed by Cartograf. 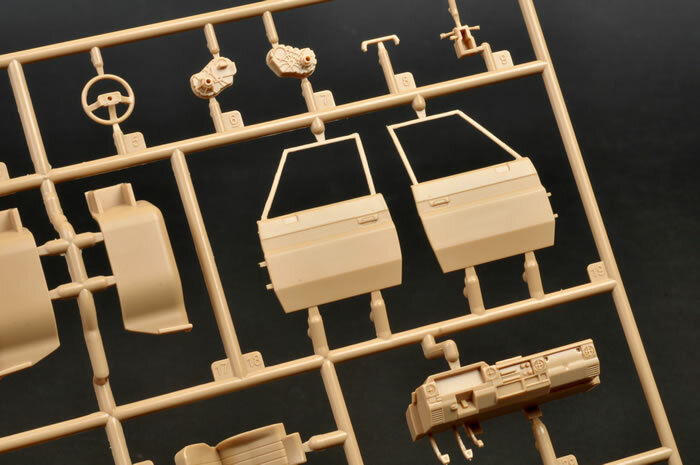 This is going to be a fun kit to build and paint, and weathering will be offer all sorts of interesting possibilities, from mild to absolutely battered as seen often on news clips and photos. Really, the only things missing are an engine and opening bonnet, but I am sure the after-market will address this in the future. I think Meng has come up with a winner with this one. You can see that they have really researched the subject, making it more of a want into the already growing stash. I would highly recommend this one, and really look forward to seeing what modellers make of it in dioramas and vignettes. Top Job Meng.